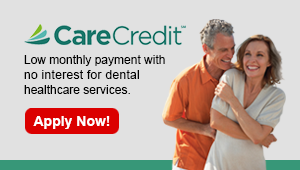 At Wilson Dental Care, we deliver the finest care at the most reasonable cost to our patients, therefore payment is due at the time service is rendered unless other arrangements have been made in advance. Our goal is to make sure that your treatment is submitted effectively to insurance and that you are aware of your dental coverage options when scheduling upcoming treatment. We will work with your insurance company to verify benefits and coverage plan information. Treatment fees will vary depending on the work that is completed. Our team works to make sure that you get the most out of your treatment plan. We currently accept a variety of insurance plans, if you have any questions please contact our office at 901-751-1100. For your convenience we accept Visa, MasterCard, AMEX, Discover and CareCredit®.